Have you been told that you snore loudly? Or, do you stop breathing during the night and awake with a gasp? If so, you may have obstructive sleep apnea. It is estimated that one in five people suffer from obstructive sleep apnea, which is also known as sleep disordered breathing. Sleep apnea does not allow people to enjoy quality sleep, which is important for physical and mental health. Those who do not get enough sleep are susceptible to work and auto-related accidents. It also has been shown that those suffering from sleep apnea experience decreases in school performance and job productivity. Obstructive sleep apnea increases the chance of death from any disease, including heart disease, stroke and diabetes. It may increase your risk of becoming obese. Research also has shown a link between sleep apnea and certain cancers, such as prostate, colorectal and breast. Patients with sleep apnea have a lower survival rate from cancer. 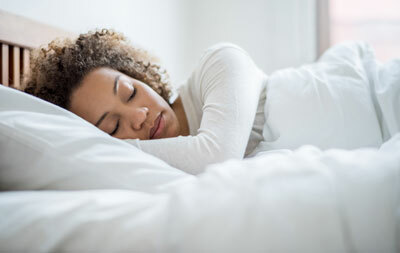 It is easy and painless to screen for sleep-related breathing disorders. There are multiple ways to improve one’s quality of sleep, such as with a CPAP (continuous positive airway pressure) device or oral appliances. Relieving breathing disorders during sleep will increase the quality of life for those suffering from this disease. The below practices offer this specialty care. Select a practice that best meets your budget and availability for appointments. We offer screening and treatment of sleep disordered breathing or sleep apnea. Faculty members perform patient exams and screen for obstructive sleep apnea with either a home sleep test or referral to an in-lab sleep study. For those seeking alternatives to wearing a CPAP, a customized oral appliance can be worn inside the mouth at night.